The precise, classic design has a large clear and well-defined dial with a graduation of 1 lbs. 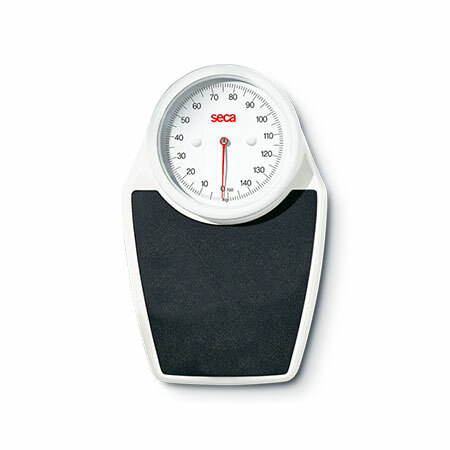 With a large, low-level, non-slip platform and scratch resistant finish, it is easy for the patient to access and weigh. The Seca 762 is optionally available in a kg version.